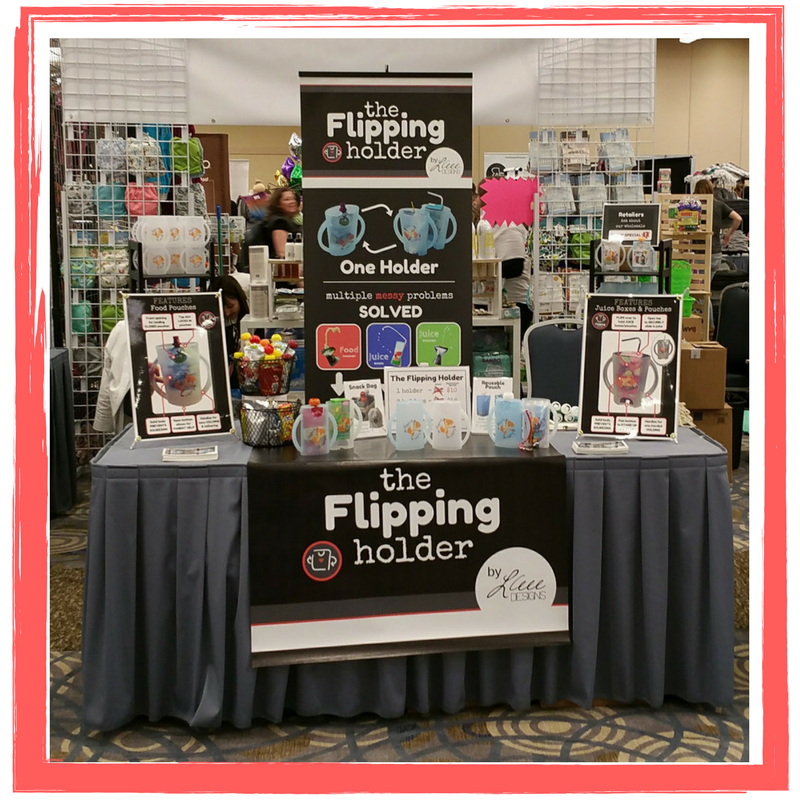 Just over a week ago we hit the road to Chicago to show the Flipping Holder to parents at MommyCon Chicago. This was our first major show and we had no idea what kind of reaction we would receive. When all the dust settled, we were overwhelmed by the positive response including many thankful moms and dads who loved that the Flipping Holder means they can use pouches for the on-the-go feeding convenience without the mess! Stay tuned for the launch of our 2-in-1 mess-free solution for food pouches and juice boxes… The Flipping Holder. It’s a go-to essential for independent and on-the-go eating and drinking for kiddos 6 months through 5 years. Terms, Conditions, and Privacy	Built with Storefront & WooCommerce.